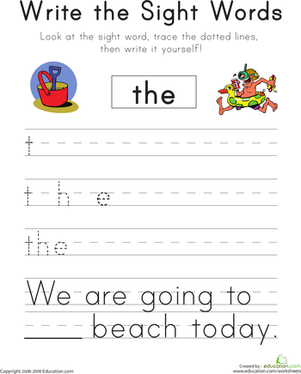 Avoid the summer slide with this collection of beginning writing worksheets, full of surf, sand and sun vocabulary words. 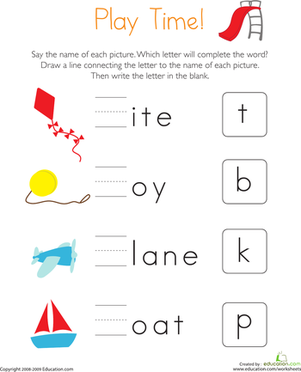 Have some fun playing with words. Change one letter at a time until you've turned a bug into a sun! 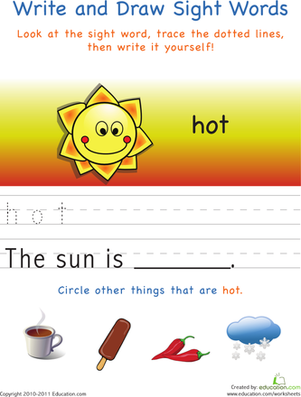 As kids color in this sunny scene, they'll learn about the sun and what it does. If you have too much fun in the sun, you might get sunburned! Color this summer scene with your child. 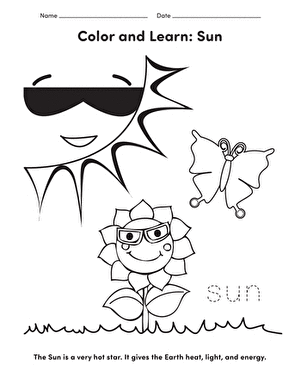 Words That Rhyme with 'Sun': Which One Doesn't Belong? 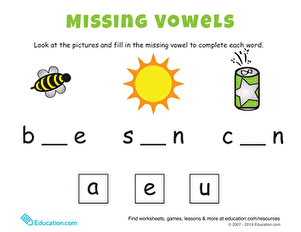 Help your child practice his phonics skills with this printable worksheet, which is all about rhyming words and words that rhyme with "sun".